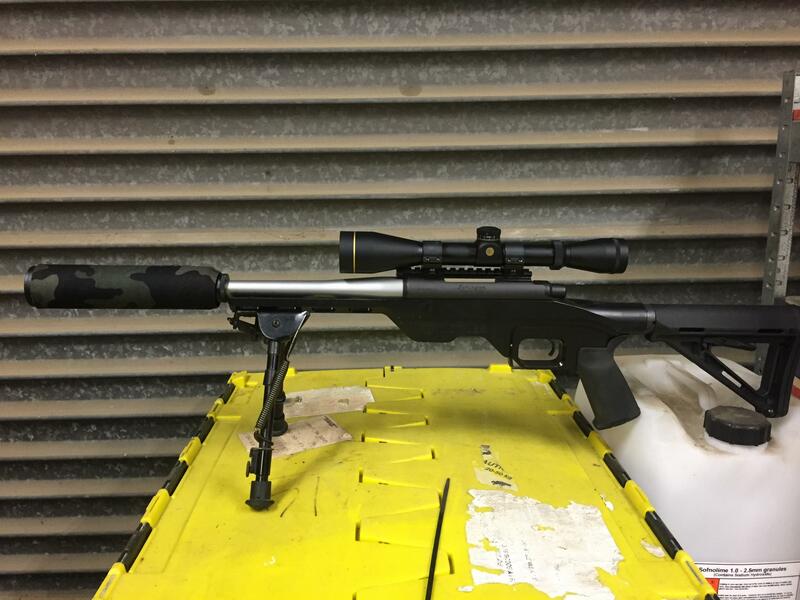 Here is a shorty sub sonic 300 AAC, with its temporary stock. 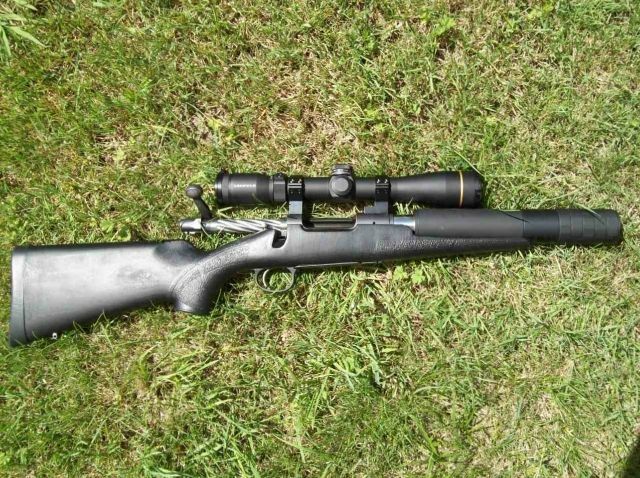 Shoots the 240 SMK really well at 1010 fps, sub moa with slightly oval holes. 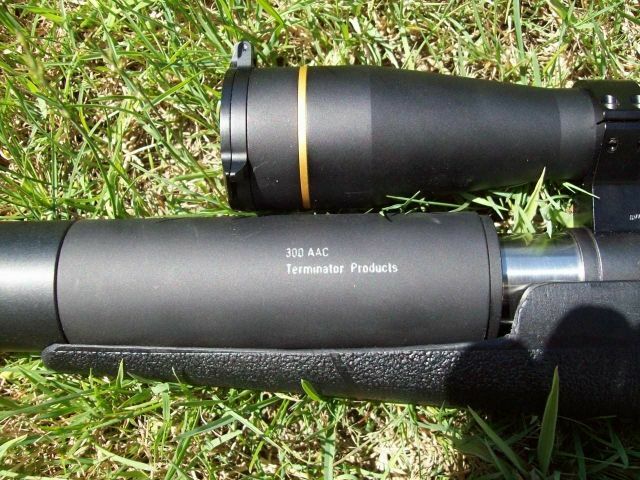 It will be interesting to compare its terminal performance with the 450 Bushmaster. veitnamcam and Happy like this. Would a 75y zero not be a bit more practical on a subsonic ? Nice wee build, but if the holes are slightly oval, are the pills not quite stabilising? Last edited by ishoot10s; 03-01-2015 at 06:01 PM. 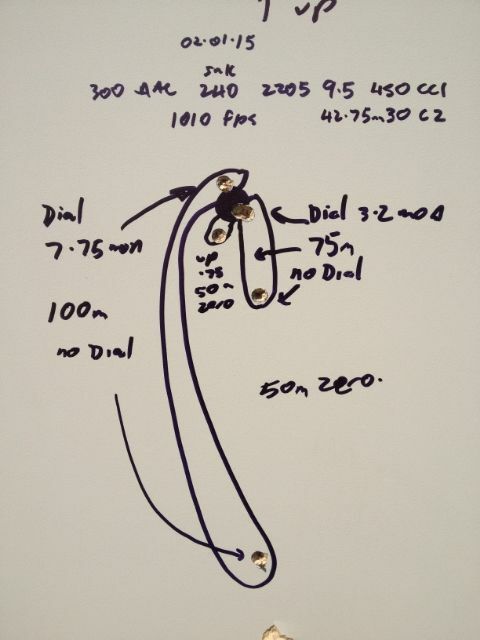 10MRT shooters do it 60 times, in two directions and at two speeds. If it didn't have a dial scope yep. Yep the approx 7" long 8 twist looks like they aren't quite stable, very accurate & staying in line all the same though. That's interesting, so with that twist and length combination they're not gettng driven a full rotation before clearing the rifling. I wonder if there's an established formula that applies in respect to that. Mine is a 16" 1/8 so my 240SMKs get almost two full driven turns. You're still getting good accuracy though, can't be too much of an issue. 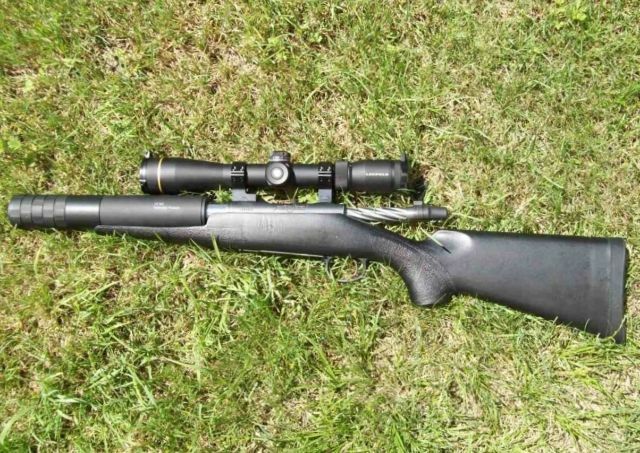 My 300 whisper JDJ is 8 twist 16"
The 240 grn smk were the worst grouping load in my rifle the best I could get would be 3 inches at 50m with the load mentioned above. Lehighs group really well just a bit expensive for hole punching paper.This is out of a 12.5" barrel. What is your twist rate ? Subs are all about balance of the projectile rather than twist.. Or you can add twist to make up for longitudinal balance. All times are GMT +13. The time now is 02:48 AM.